En route from the Texas border, twice I saw armadillo roadkill. I drove through Louisiana bayou and past Exxon Mobile refineries and storage tanks. Then the scenery turned lush, the humid air felt dense, and cars became sparse as I crossed over the state line into Mississippi. I had no idea it was so beautiful. Before I reached Mississippi, I drove along Highway 61, which follows the river. I made one stop that meant a lot to me. 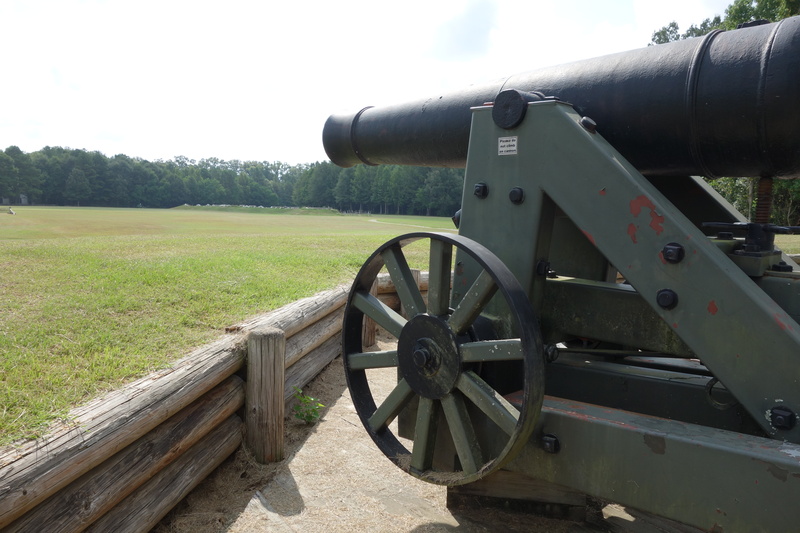 From May to July, 1863, Union troops besieged Confederate forces at a bend in the river called Port Hudson. Toward the end of the siege, for the first time in the Civil War, African American troops were put into action. Among the members of the 1st and 3rd regiments of the Louisiana Native Guard were two brothers of Edmond Dédé, the subject of the book I’m writing. In January 1864, Dédé boasted of it to the US Consul at Bordeaux, where Dédé lived for 36 years. That boast plays a part in the story my book tells. I found it moving to be there, although the river has shifted its course considerably since 1863 and so the terrain is unrecognizable. The ranger in the visitor center helped me, the sole visitor, understand the progress of the siege and the lay of the land so well that I now have it securely in my memory. From there, I drove one hundred miles on what may be this country’s prettiest roads, the Natchez Trace Parkway, maintained by the National Park Service. No billboards, no stores, no gas, extremely few houses, no buildings, exits few and far between, just forest and meadows. 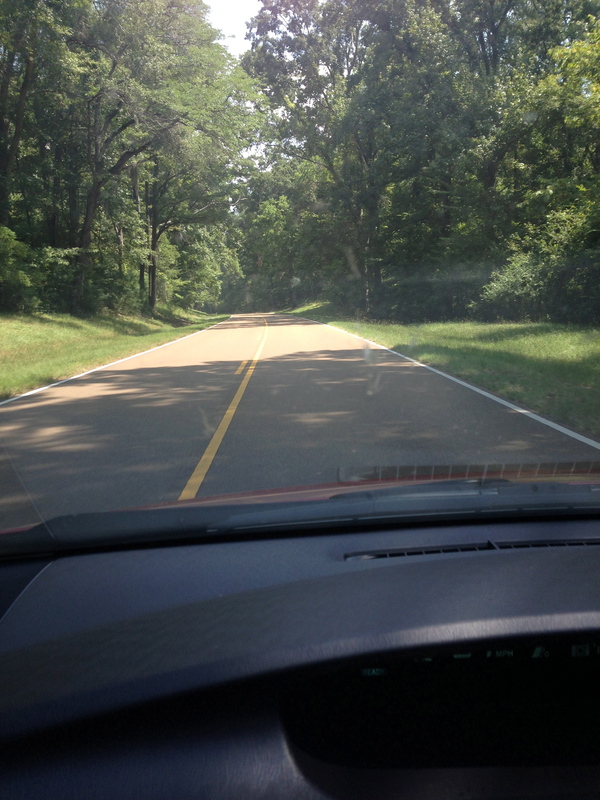 This two-lane, red-top road runs 444 miles, from Natchez, where I started, to Nashville. It has an amazing history, which you can read about here. I stopped a few times to explore the deeply rutted ancient foot path that runs parallel to sections of the parkway. The Trace was a major pedestrian highway in the 18th and 19th centuries. A thunderstorm is about to break outside my hotel window here in Jackson. I wish I were still driving. I’d roll down the windows and sail through this verdant landscape. Previous Article Texas BBQ Civil Rights Heritage Tour Day 8: Austin, Texas to Lafayette, La.